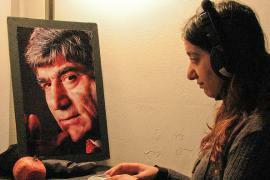 4 years ago journalist Hrant Dink was shot dead in front of the magazine "Agos" for witnessing truth about the Armenian genocide and advocating reconciliation between Armenians and Turks. Every year since then his family has struggled for justice, as the killers were arrested, but the masterminds are still unknown. In his latest analysis, Attorney Fetyheh Cetin points to "the existence of a powerful apparatus and a mentality that only legitimizes the murder but makes impunity something ordinary". The anniversary of the journalist's death was also marked by the awarding of the Hrant Dink Prize to Marco Impagliazzo, a Professor of Contemporary History at the University for Foreigners of Perugia who has devoted part of his research work to the history of the Metz Yeghern.